Annette O'Toole (born April 1, 1952) is an American actress, dancer, and singer-songwriter. She is probably best known for portraying Lisa Bridges in the TV series Nash Bridges, Beverly Marsh in the It miniseries, Lana Lang in Superman III, Elaine, the girlfriend of Nick Nolte's character in 48 Hrs., the leading role, Kathy, in the romantic-comedy Cross My Heart; and more recently for portraying Martha Kent, the mother of Clark Kent, on the television series Smallville. O'Toole was born Annette Toole in Houston, Texas, the daughter of Dorothy Geraldine (née Niland) and William West Toole Jr. Her mother taught dance, which O'Toole herself began learning at the age of three. She started taking acting lessons after her family moved to Los Angeles when she was 13. Her first television appearance was in 1967 on The Danny Kaye Show, followed over the next few years with guest appearances in shows such as My Three Sons, The Virginian, Gunsmoke, Hawaii Five-O, and The Partridge Family. O'Toole's first major film role was as a jaded beauty pageant contestant in the 1975 satire Smile; she got the role after doing an impression of a "dead cockroach" at the audition. She also appeared as the tutor and girlfriend of Robby Benson's character in the college basketball story One on One in 1977. She co-starred opposite Gary Busey in the 1980 film Foolin' Around. In 1981, she starred in the HBO onstage production of Vanities, as well as in the TV movie Stand By Your Man, which detailed the life of country music legend Tammy Wynette. Later on in 1982, she appeared briefly as Nick Nolte's girlfriend in 48 Hours. That same year, she played Alice Perrin in Cat People, and then in 1983 she played Lana Lang (love interest to Clark Kent/Superman), and single mother of Ricky in Superman III. In 1985, she co-starred with Barry Manilow in the CBS television movie Copacabana playing Lola La Mar to Manilow's Tony Starr. Also in 1985, she had a starring role as Ms. Edmunds in the original Bridge to Terabithia, and appeared in the TV adaptation of Strong Medicine the following year. In 1987's Cross My Heart, a romantic comedy, O'Toole had a leading role opposite Martin Short. In 1990, O'Toole had roles in two ABC television miniseries. She played the adult Beverly Marsh in the miniseries adaptation of the Stephen King novel It, and also portrayed Rose Fitzgerald Kennedy in The Kennedys of Massachusetts, a role that earned her an Emmy nomination for Outstanding Lead Actress. She next starred in the 1992 NBC miniseries Jewels, based on the Danielle Steel novel of the same name. In 1993, O'Toole starred in Desperate Justice as Ellen Wells. In 1995, she starred as Cheryl Keeton in the 1995 Lifetime television film based on Ann Rule's true crime novel Dead by Sunset. She had a recurring role on the television show Nash Bridges (1996) and starred in her own series The Huntress (2000) as a female bounty hunter. In 1997 O'Toole starred in the TV movie Keeping the Promise. In October 2001, 18 years after portraying Lana Lang in Superman III, O'Toole returned to the Superman mythos in the role of Martha Kent, Superman's adoptive mother, in the television series Smallville. She remained part of the show's main cast, though at times in the background, until the end of its sixth season. On January 19, 2010, it was announced that O'Toole would be returning to Smallville for at least one episode. On November 22, 2010, O'Toole played the role of Veronica, a middle-aged woman suffering from a severe case of Alzheimer's, in season 3 episode 7 of the TV series Lie to Me. In March 2013 she appeared in Grey's Anatomy as a school teacher who finds out, after surgery, that she will die from cancer. O'Toole portrayed Susan Emerson in six episodes of the first two seasons of Halt and Catch Fire. In 2016, O'Toole returned to the Stephen King realm as boarding house owner Edna Price in 'The Kill Floor' episode of the King mini-series 11.22.63. 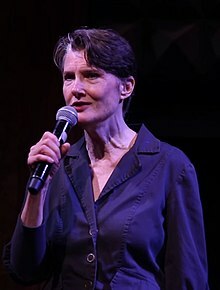 In retrospect, O'Toole can date the beginning of her songwriting career to events during a car ride after the September 11 attacks; as her husband Michael McKean describes it, "On September 11, 2001, Annette found herself without an airline to carry her back down to Los Angeles from Vancouver, where she films Smallville. So she drove a rental car down. The two of us drove it back up together, and on the long drive up there, somewhere between Portland and Seattle, she told me she had a tune in her head." The "tune in her head" became "Potato's in the Paddy Wagon", one of three songs the couple wrote for A Mighty Wind, including the Oscar-nominated song "A Kiss at the End of the Rainbow." O'Toole sang "What Could Be Better?" — a song she and her husband co-wrote — for the 2004 Disney children's album A World of Happiness. In May–June 2005, the couple did a cabaret act for "Feinstein's at the Regency" in New York City. On July 7, 2007, O'Toole appeared as a backing singer for her husband's fictional band Spinal Tap at the London leg of the Live Earth concerts. She has also performed on the band's 2009 Unwigged and Unplugged tour, and contributed lyrics to "Short and Sweet" on the 2009 Spinal Tap album Back from the Dead. In 2011 she starred in CAP21's production of the new musical Southern Comfort, based on the Sundance award-winning documentary, by Dan Collins and Julianne Wick Davis. O'Toole married actor Bill Geisslinger on April 8, 1983; the couple had two daughters, Nell and Anna. O'Toole first met Michael McKean, the man who would later become her second husband, when McKean was working on Laverne & Shirley. O'Toole and McKean became friends in 1997 while starring together on Final Justice, a Lifetime movie. They were married in March 1999. O'Toole and McKean guest-starred together in "Mega", a 10th-season episode of Law & Order as a wealthy married couple accused of murder. The couple also guest-starred on Boy Meets World as Topanga Lawrence's parents. McKean also played reporter Perry White, later the boyfriend of O'Toole's character Martha Kent, on Smallville. 1967 My Three Sons Tina Episode: "The Chaperones"
1967 This Is the Life Debbie Episode: "Debbie"
1970 Dan August Robbie Wagner Episode: "Love Is a Nickel Bag"
1970 The Virginian Lark Walters Episode: "The Mysterious Mr. Tate"
1970 Gunsmoke Edda Sprague Episode: "The Witness"
1971 The Mod Squad Lorrie Coleman Episode: "A Bummer for R.J."
1971 The Partridge Family Carol Episode: "Partridge Up a Pear Tree"
1971 Hawaii Five-O Sue Episode: "...And I Want Some Candy and a Gun That Shoots"
1973 Search Terry Bain Episode: "The 24 Carat Hit"
1973 The Rookies Pregnant Woman Episode: "Frozen Smoke"
Bank Teller Episode: "Lots of Trees and a Running Stream"
1974 The F.B.I. Brenda Porter Episode: "The Lost Man"
1974 Dirty Sally George Episode: "My Fair Laddie"
1974 Police Woman Donna Hess Episode: "Shoefly"
1975 S.W.A.T. Rita Bonelli Episode: "The Killing Ground"
1975 Petrocelli Tina Episode: "Terror on Wheels"
1976 Standing Room Only Kathy Episode: "Vanities"
1976 Serpico Heather Episode: "The Indian"
1976 Barnaby Jones Cas Carter Episode: "Band of Evil"
1977 What Really Happened to the Class of '65? Kathy Adams Miller Episode: "Everybody's Girl"
1979 Visions Sandy Episode: "Ladies in Waiting"
1991 General Motors Playwrights Theater Carol Episode: "Unpublished Letters"
1995 The Outer Limits Commander Lydia Manning Episode: "Dark Matters"
1995 Dream On Bess Justin Episode: "Bess You Is Not My Woman Now"
1995 Lonesome Dove: The Series Claudia Harrell Episode: "Traveller"
1999 Boy Meets World Rhiannon Lawrence Episode: "State of the Unions"
2000 Law & Order Valerie Grace Episode: "Mega"
2010 Lie to Me Veronica Episode: "Veronica"
2011 Private Practice Janet Episode: "Blind Love"
2012 The Finder Elaine Sherman Episode: "The Boy with the Bucket"
2013 Grey's Anatomy Madeleine Skurski Episode: "Idle Hands"
2015 Battle Creek Amelia Zuransky Episode: "Homecoming"
2016 11.22.63 Edna Price Episode: "The Kill Floor"
^ Results, Texas Births, 1926-1995 from familytreelegends.com. Retrieved 2010-02-07. The website cites "Texas Births, 1926-1995. Family Tree Legends Records Collection (Online Database). Pearl Street Software, 2004-2005" as the source. ^ "Will the Senator From Smallville Please Rise". Zap2it. April 13, 2006. Retrieved 2010-10-01. Annette O'Toole feared Martha Kent would remain in the adventure's background, but that changed when Martha's husband, Jonathan (John Schneider), died shortly after his election to a Kansas senatorial seat. She has stepped up to fill his term, with ever-scheming Lionel Luthor (John Glover) taking a bit too much interest for her comfort. ^ "Annette O'Toole Returning to Smallville". TVGuide.com. Retrieved 2009-06-16. ^ a b c d e f "Interview: Michael McKean & Annette O'Toole". SoundtrackNet. January 7, 2004. Retrieved 2010-10-01. ^ "A World of Happiness Roster: Annette O'Toole". HyLo Productions. Retrieved 2010-10-01. 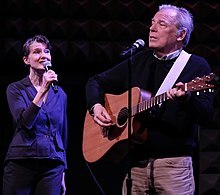 ^ "Michael McKean and Annette O'Toole Promise an Evening of No Standards at Feinstein's". Playbill. 9 May 2005. Retrieved 2010-10-01. This page was last edited on 1 April 2019, at 16:51 (UTC).